Disclosure Statement | How About Them Apples? This blog is a collaborative blog written by a group of individuals. For questions about this blog, please contact nadineandadamblog@gmail.com. Nadine and Adam are mother and son. Nadine lives in Florida where she has provided outpatient MNT in a large healthsystem for the past 20 years. In addition, she teaches nutrition to second and third year family medicine residents. She is a past-spokesperson for the Academy of Nutrition and Dietetics. Adam lives in Washington State. His career has largely been involved in recipe development and food production. He is currently developing recipes and menus for the Seattle schools to meet the new federal guidelines for school nutrition programs and he does outpatient nutrition counseling. He is also a voice in PSAs over Seattle radio representing the Washington Academy of Nutrition and Dietetics. Aside | This entry was posted in Disclosure and tagged collaborative blog. Bookmark the permalink. 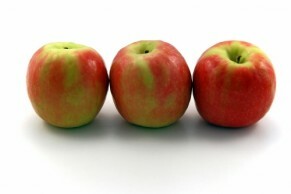 Pingback: Disclosure Statement | How About Them Apples?